If you’re looking for one of the lightest, shortest and cleanest trigger pulls for your Ruger 10/22, then the Powder River Precision Drop-In Trigger Assembly is the perfect component for your improvement project. Each Powder River Precision Drop-In Trigger Assembly is a true, drop-in component, requiring no extra work, fitting or assembly. 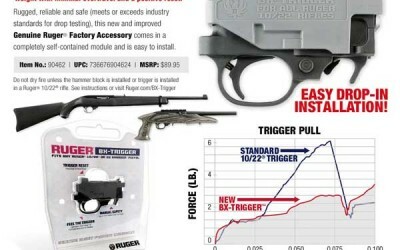 This makes it an easy upgrade for rifle owners, giving them the ability to make their 10/22’s trigger pull better than ever. The critical components in the trigger assembly, namely the hammer, sear and disconnector, are all Wire-EDM machined from hardened steel, and all the other components are machined from durable stainless steel. To enhance reliability, each Powder River Precision Drop-In Trigger Assembly includes spare extractors in both the auto-release bolt lock and ejector. 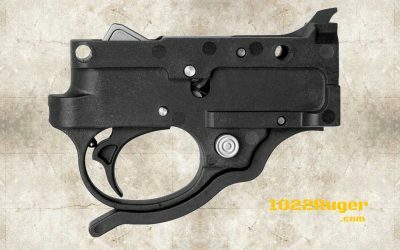 Once all is said and done, the assembly will provide users with a smooth, short trigger pull weighing in at 2.25 pounds. The Brownells 10/22® BX-Trigger® features a light, crisp 2.5-3.0 lb trigger pull, with minimal over travel. Rugged, reliable and safe (meets or exceeds industry standards for drop testing), this new and improved Genuine Ruger® Factory Accessory comes in a completely self-contained module and is easy to install. 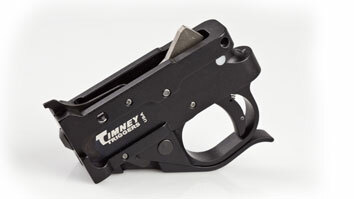 The BX-Trigger® features a Polymer construction and drop-in installation. 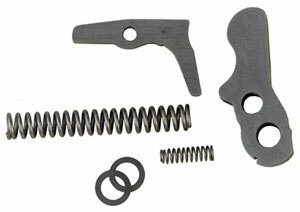 Fits Ruger® 10/22® rifles or 22 Charger Pistol.